Mars is a superstar whose popularity went downhill after a series of negative publicity. His finances went into red alert and he had to find a new place to live. He ended up renting a place from Mo Mo, his homebody landlord. He befriended her and her childhood friend Jia Sen, a swimming captain with the intelligence of an 8-year-old. Licorice Sep 07 2015 12:54 am She's my fave actress beside Vicki Zhao and Ruby Lin~ Her acting is awesome! She managed to play different kinds of characters and gave new vibe to it! However, l think ever since Hi My Sweetheart, her recent dramas aren't not as big. l wonder if it was because of the co-stars? Camille Apr 04 2014 11:38 pm She is really amazing in everything, i like her because she is very good in acting, singing, and dancing..I love all her Asian Dramas esp. Shanghai Sweetheart. I love her character as Chen Baozhu..she looks really2x cool in her character the same with Show Lou as Lin Da Lung..I collect your dramas in dvd, photos and music video with Show Lou..Hope you have another projects with him soon.. How I wish to visit your country someday!...I Love You Miss Rainie!..good luck to your upcoming projects :)..
Camille Apr 04 2014 11:25 pm She is really amazing in everything, i really like her because she is really good in acting, singing, and dancing..I love all her Asian Dramas esp. Shanghai Sweetheart. I really like her character as Chen Baozhu..she looks really2x cool in her character the same with Show Lou as Lin Da Lung..I collect your dramas in dvd, photos and music video with Show Lou..Hope you have another projects with him soon.. How I wish to visit your country someday!...I Love You Miss Rainie!..good luck to your upcoming projects :)..
Shelly Dec 08 2013 8:41 pm Oh! I forgot Why Why Love! I agree with everyone who says she should do more dramas with Mike He. They are just too cute! Shelly Dec 08 2013 8:39 pm OMG!!! I really have to thank her for the wonderful entertainment she provides. I wish I could be like her! She is such a good singer and actress! So far, I think her best dramas are Devil Beside You, Drunken to Love You, Miss No Good, and Shanghai Sweetheart. nikki Jan 18 2012 10:48 pm I love your drama series " Love You" it was the best dramedy ive ever seen...i fell inlove with your character!...more power to you both...looking forward with your next drama series...hope to have a part 2 in "Drunken to love you"...God bless!!! kleentfiel Nov 24 2011 11:49 pm .. iloveyou rainie yang .. hope to see you soon .. im your trying hard fan .. hope you notice me someday .. im start collecting your tv dramas in dvd and all of your song ..
...hope you and mike he will get married soon .. hehe .. no matter what happen , ill visit you !! my only dream is to see you .. take care !! more power po .. muah ..
Anyways, support you forever! Jia You!!! It's Raining! Oct 22 2010 2:38 pm She should star in idol dramas w/ the rest of Fahrenheit men! Jiro - check Wu Chun - check Calvin - ???? Aaron - ???? yeng nicdao Sep 18 2010 3:05 am i love rainie yang forever and ever . !! i will support no matter what happens . yvette Sep 11 2010 7:01 pm all rainie's dramas was so cool and i rally love all her drama..
Sweet Hana Sep 10 2010 12:10 am Wo Ai Ni!!! You are an amazing actress! 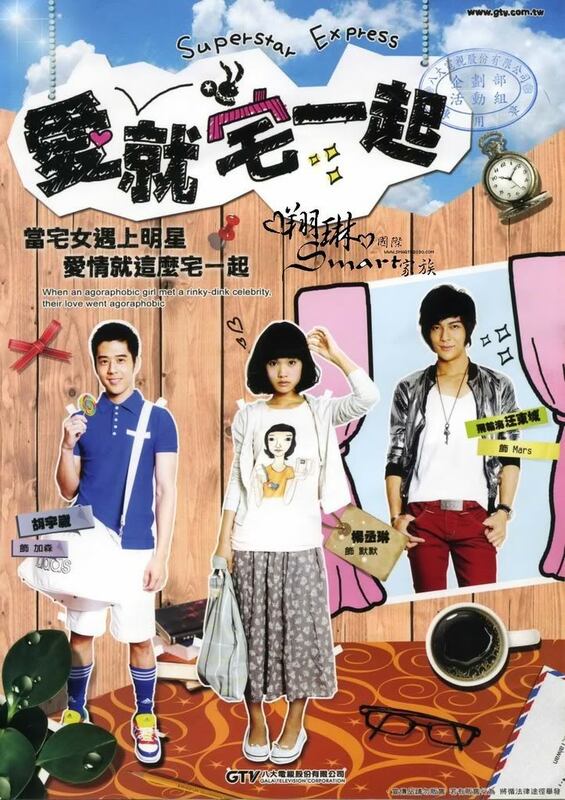 I loved you Hi, My Sweetheart, Miss No Good these dramas were sooo cute! And you can sing! I can't stop listening to Ai Mei (in Chinese and Japanese), Yue Ai, Lang Lai Le, Ninmeng de Pengyou and many more. Keep on shining Rainie!!! P.S. She was in TV series ToGetHer too. liberty Jun 09 2010 6:23 am When R u going to have another Drama with mike he? ?You really look wonderful together so I hope you'll make another TV series.I love Devil beside me and Why why Love!! xascel Dec 07 2009 3:46 am please have a next drama with mike he!! !